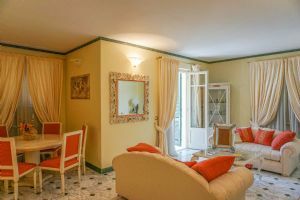 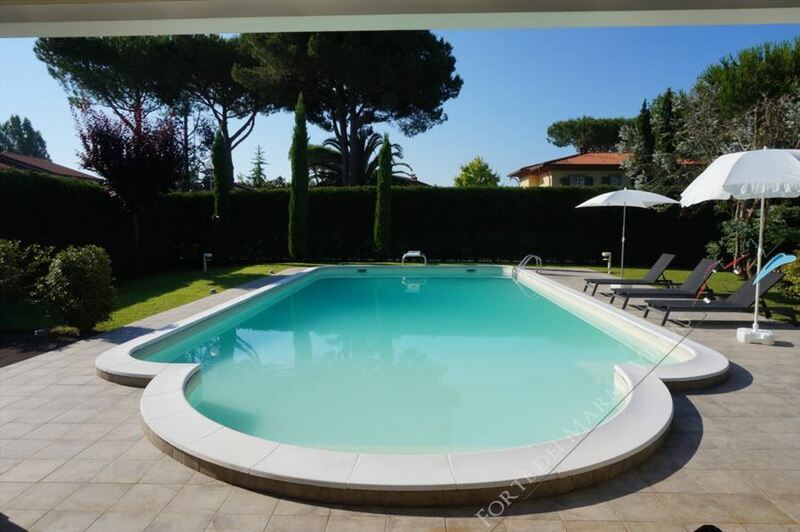 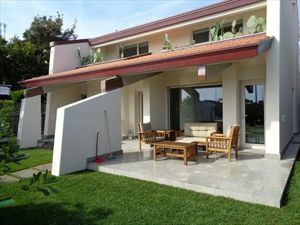 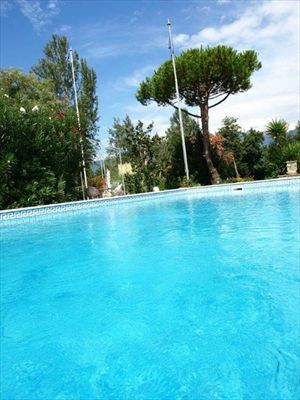 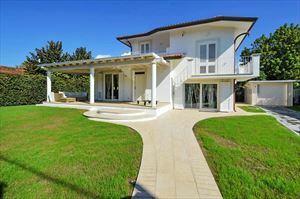 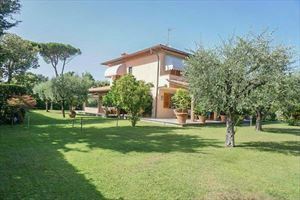 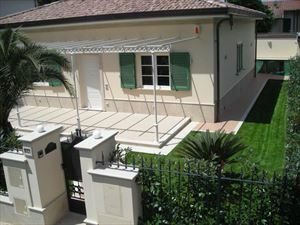 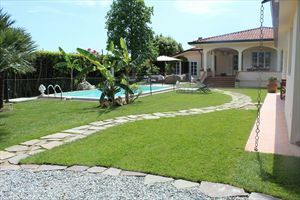 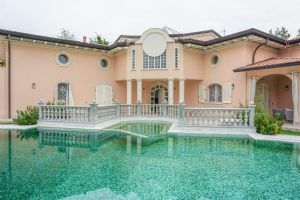 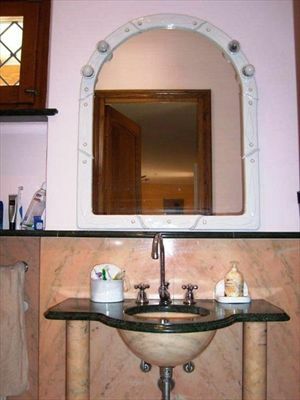 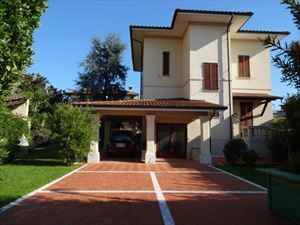 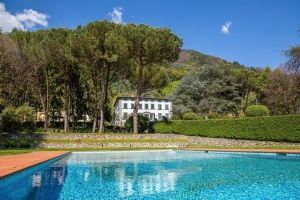 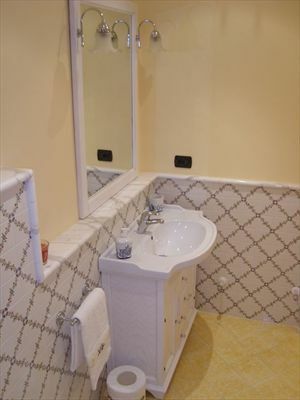 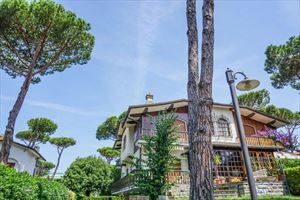 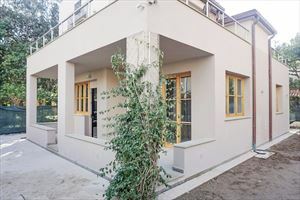 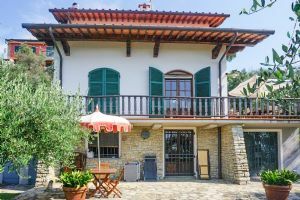 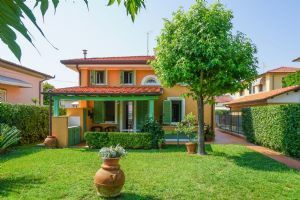 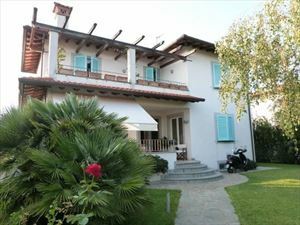 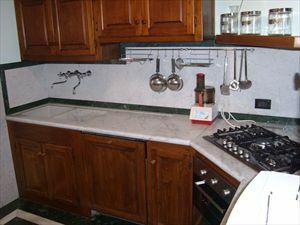 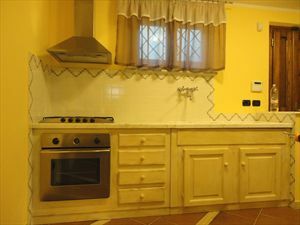 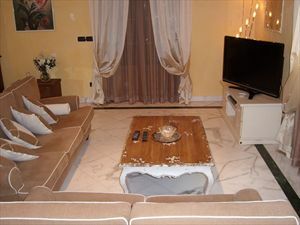 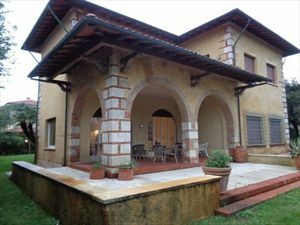 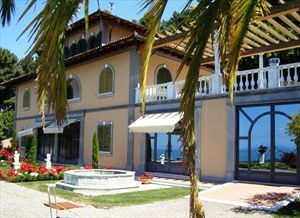 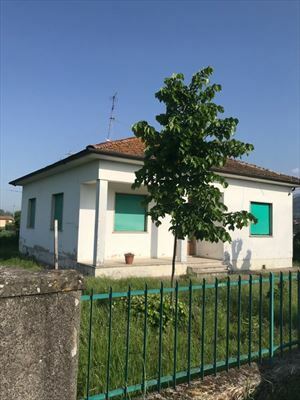 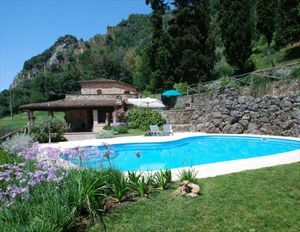 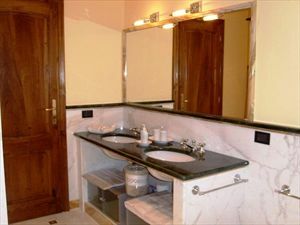 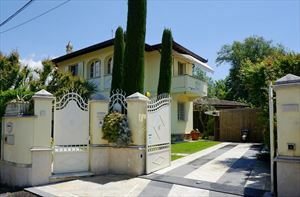 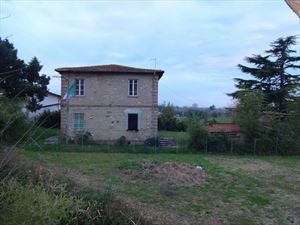 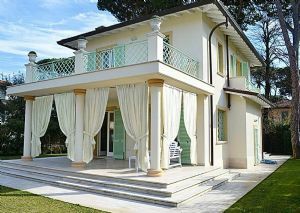 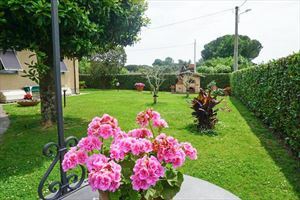 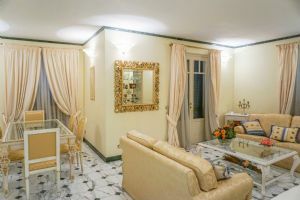 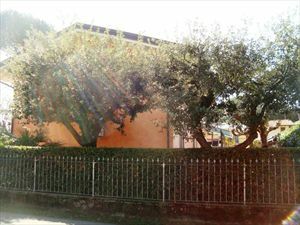 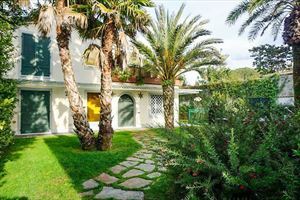 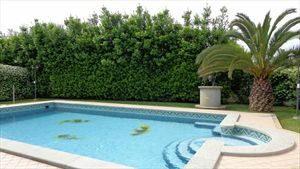 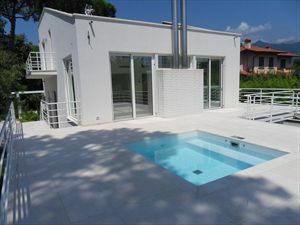 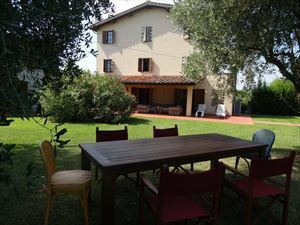 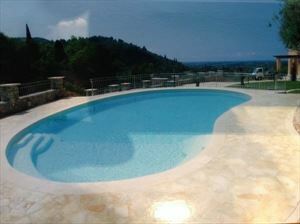 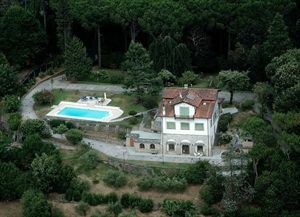 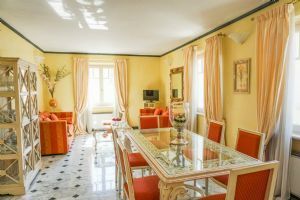 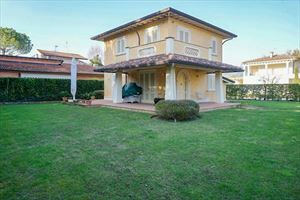 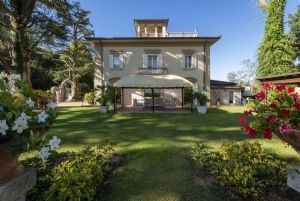 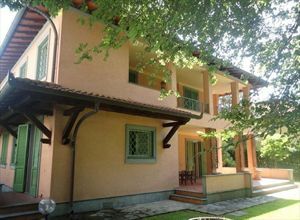 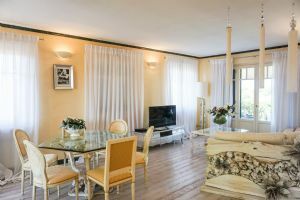 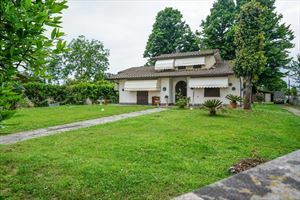 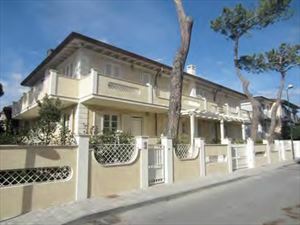 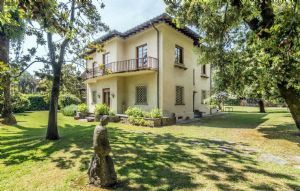 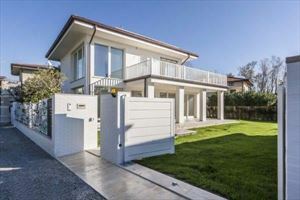 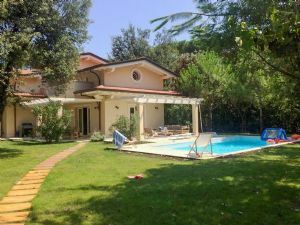 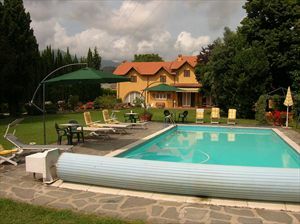 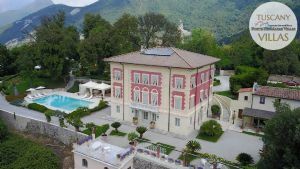 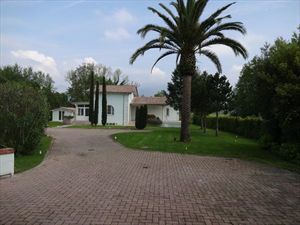 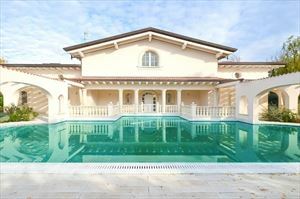 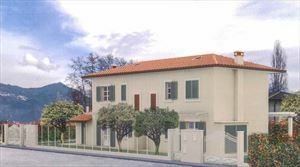 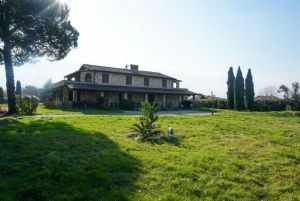 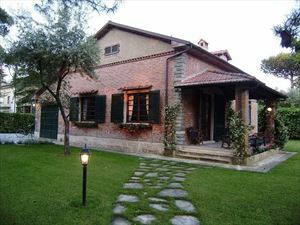 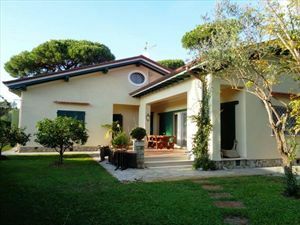 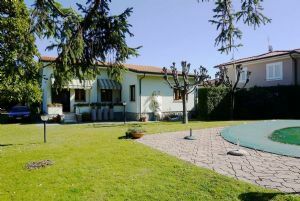 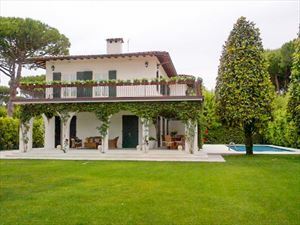 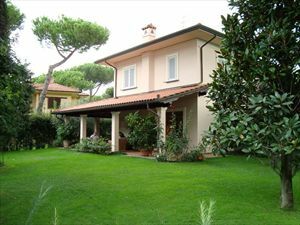 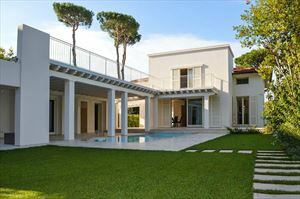 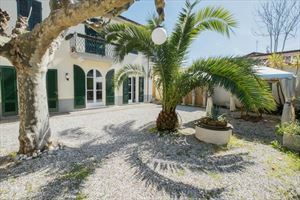 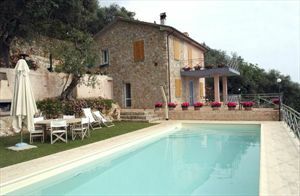 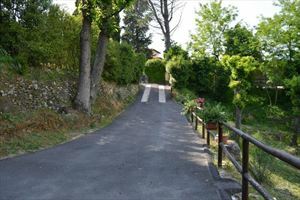 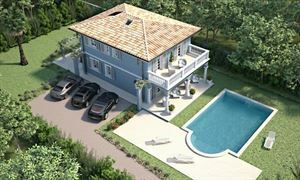 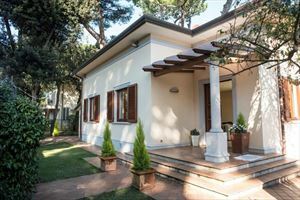 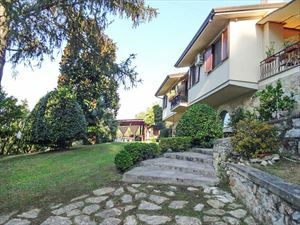 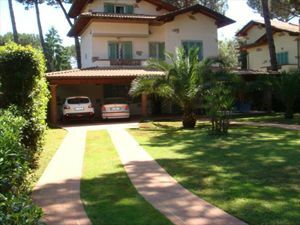 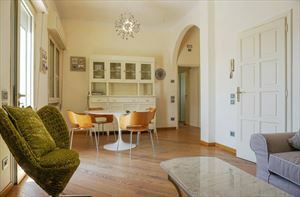 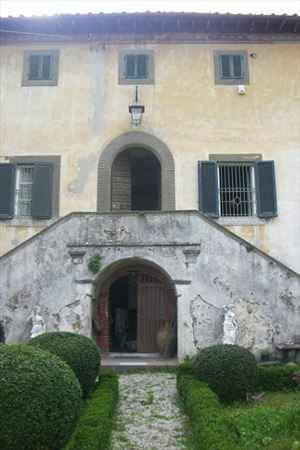 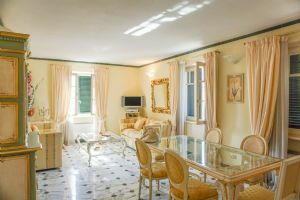 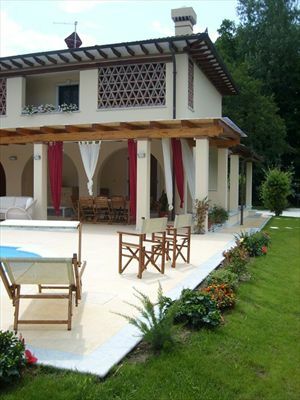 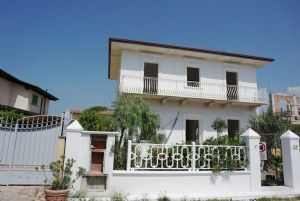 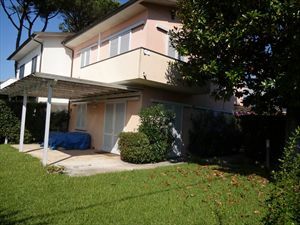 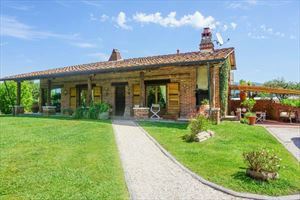 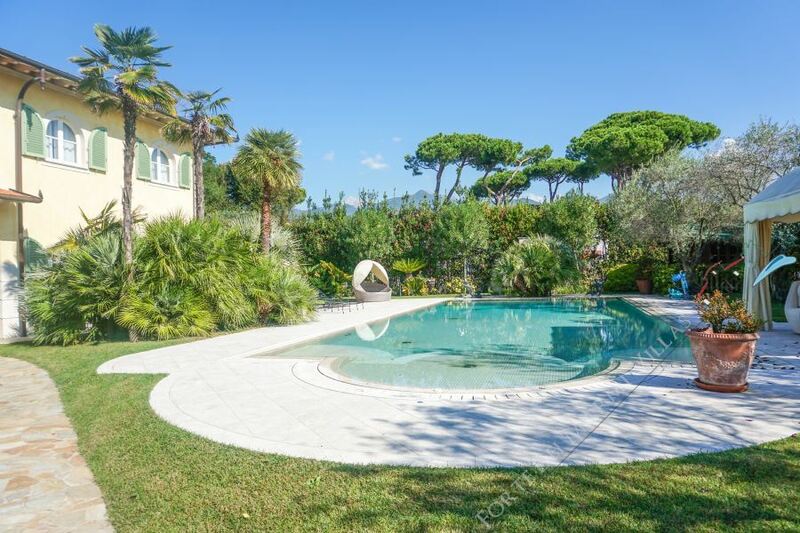 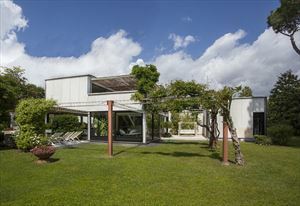 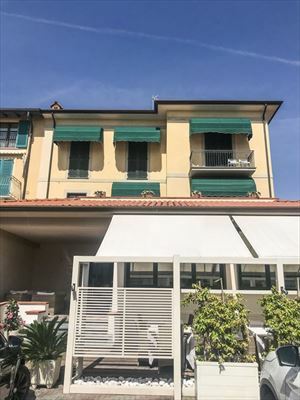 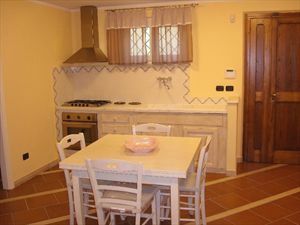 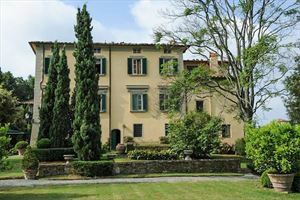 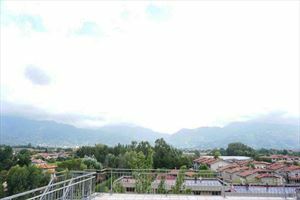 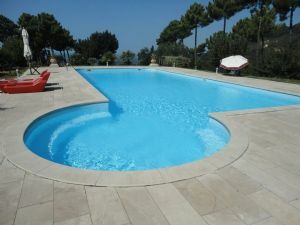 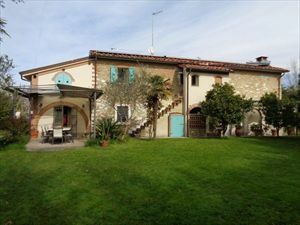 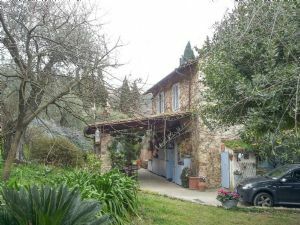 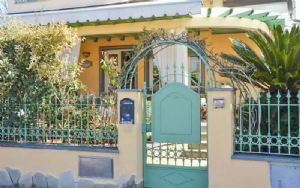 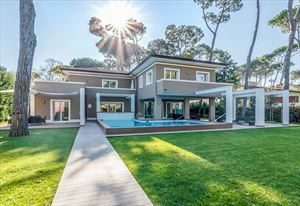 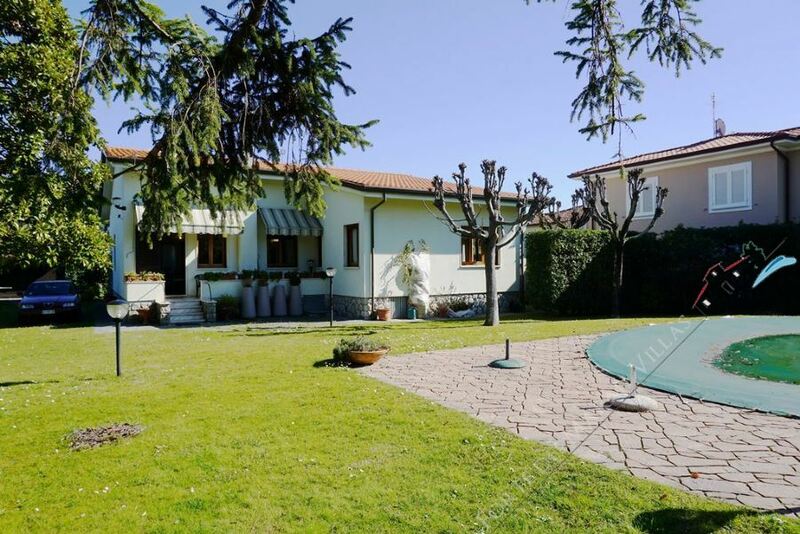 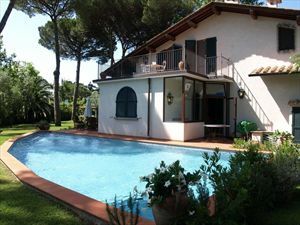 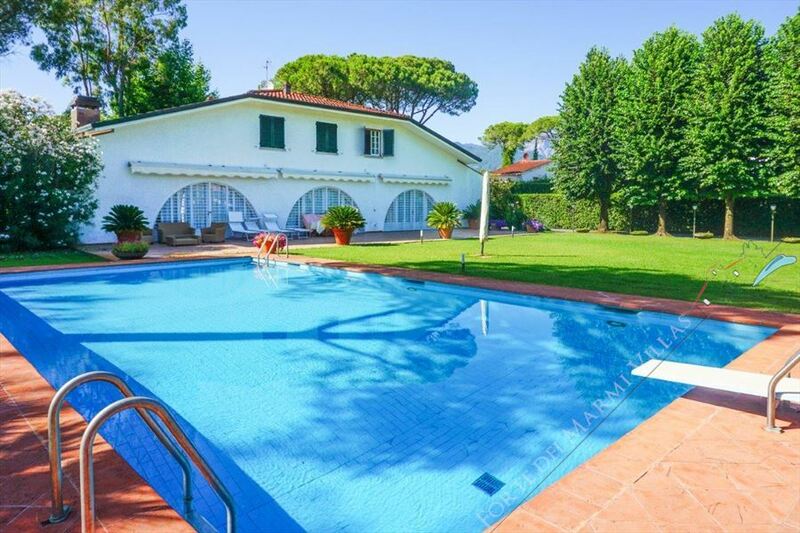 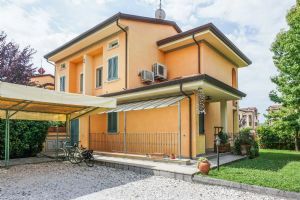 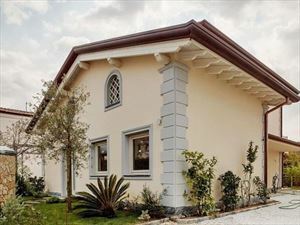 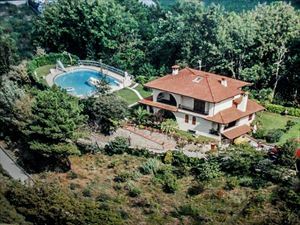 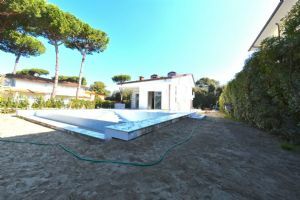 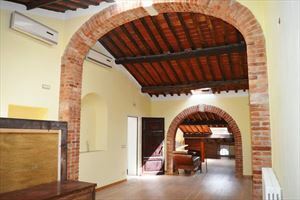 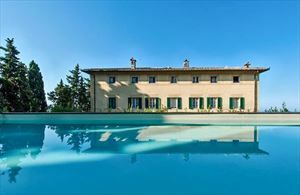 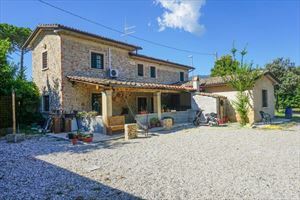 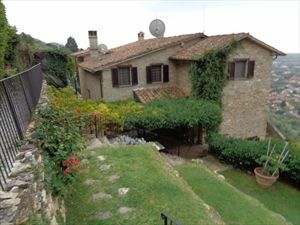 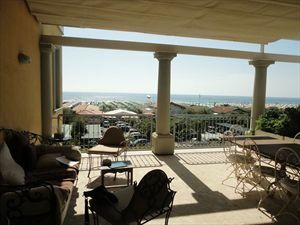 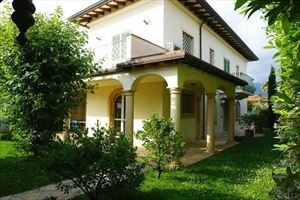 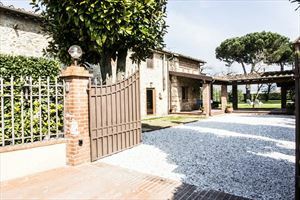 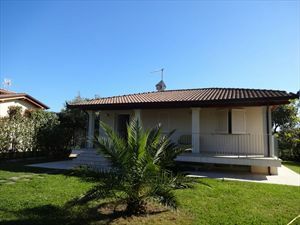 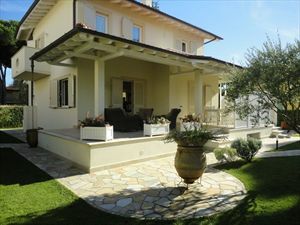 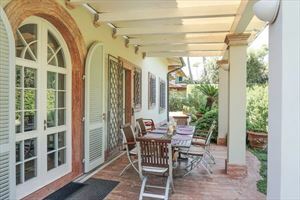 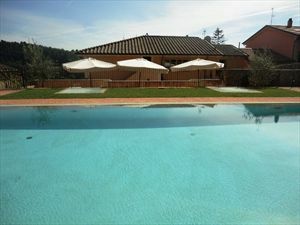 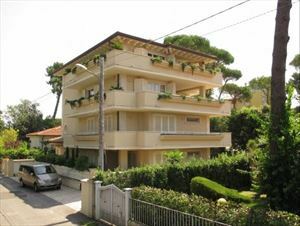 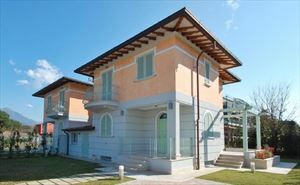 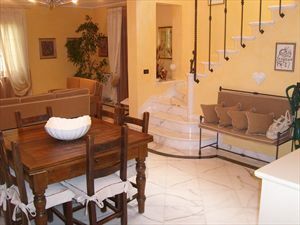 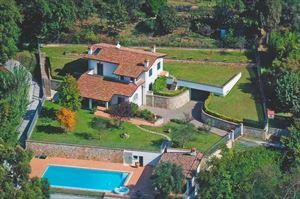 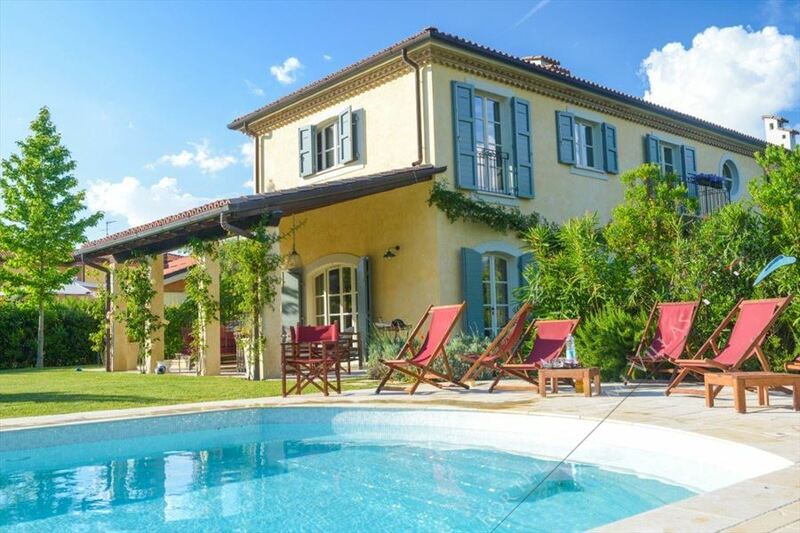 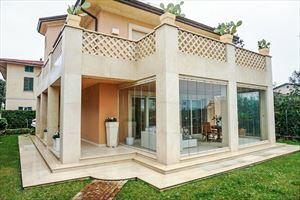 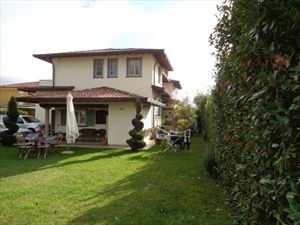 A detached villa with a garden (1700 sqm) and a pool, located in the periphery of Forte dei Marmi, 2 km from the sea. 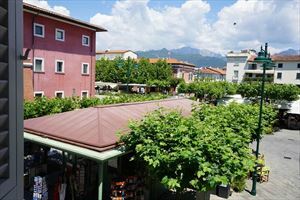 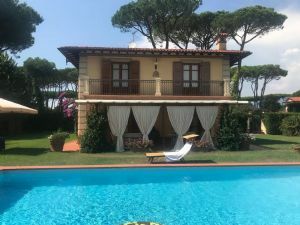 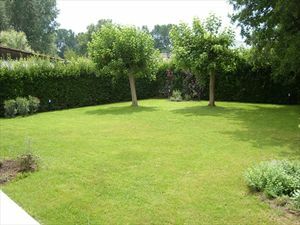 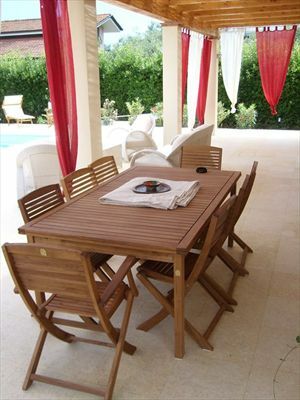 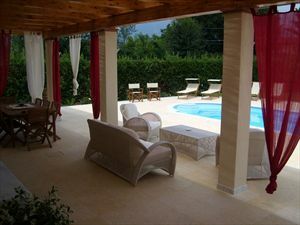 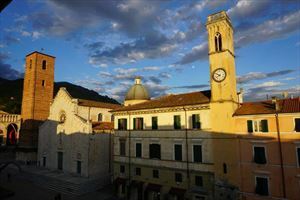 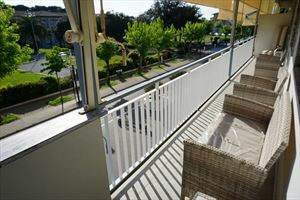 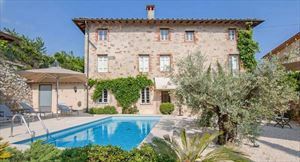 The garden has a parking zone and a large terrace with outdoor furniture, a dining table and an entrance to the pool, which is provided with heated water. 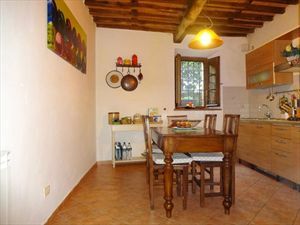 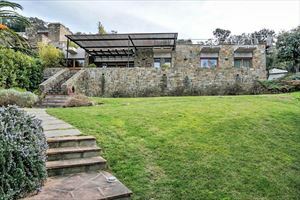 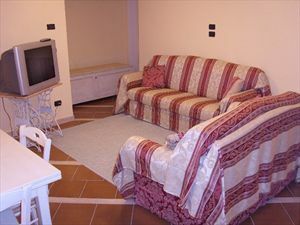 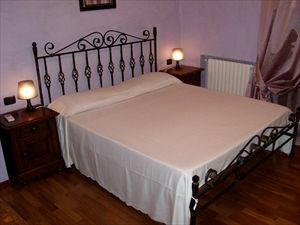 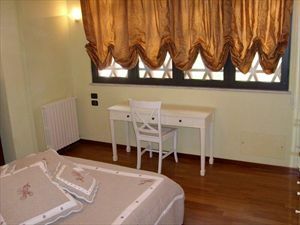 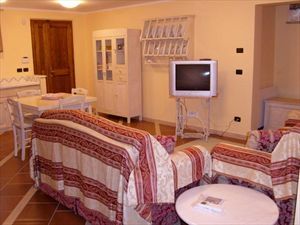 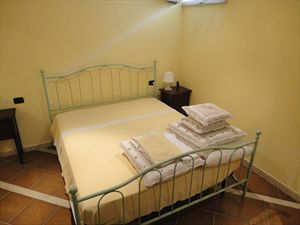 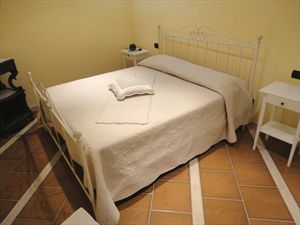 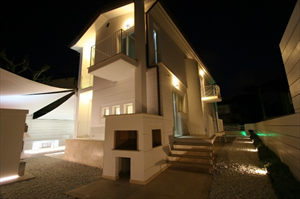 The house is supplied with air conditioning, mosquito nets, alarm system, satellite TV and Internet Wi-Fi. 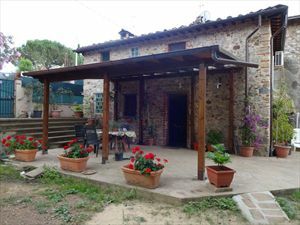 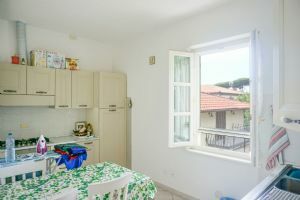 The basement comprises 2 bedrooms, a bathroom with a shower, a small kitchen with dining table, a living room and a laundry room. 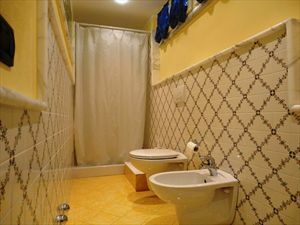 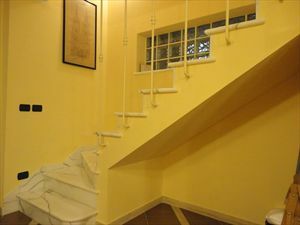 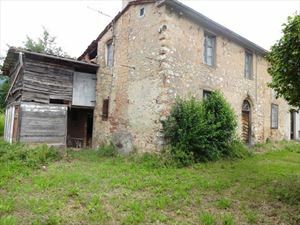 The ground floor consists of a living room, a dining room, a kitchen and WC. 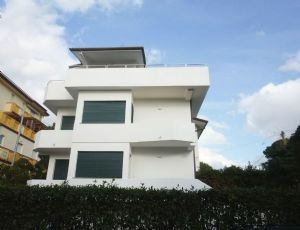 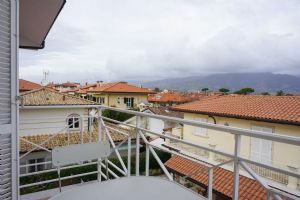 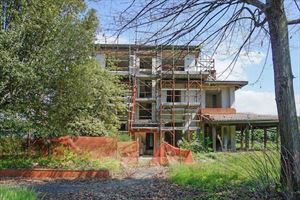 The upper floor includes a master bedroom with ensuite bathroom, single bedroom, double bedroom, bathroom and a balcony.